THE Chinese New Year is widely celebrated by Marco Polo Hotels in all its fourteen properties in China, Hong Kong and the Philippines. In Davao, the hotel sported its 2019 Lunar New Year’s best of red and gold, and decked out in lucky charms of money trees and red lanterns. This year’s welcome was more festive. 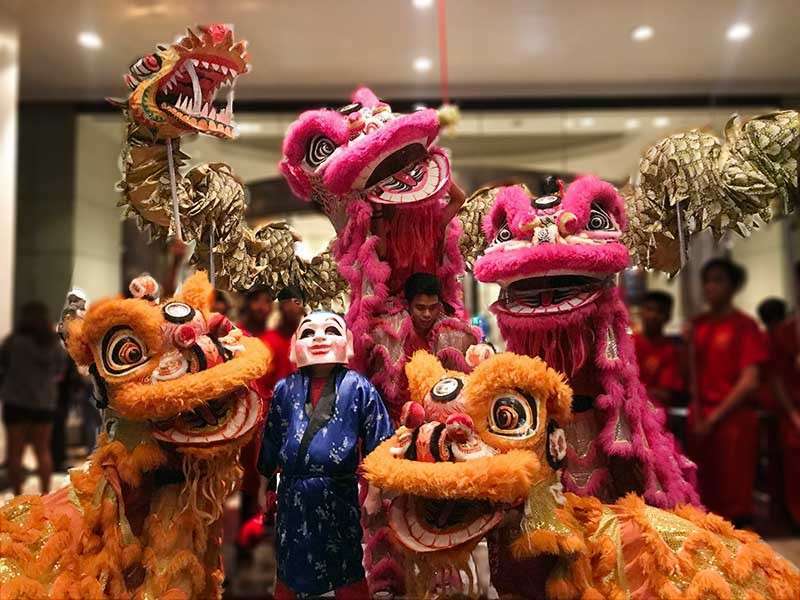 There were more lions dancing with the dragon to welcome the Year of the Pig, the last sign of the 12-cycle of animals in the Chinese zodiac. 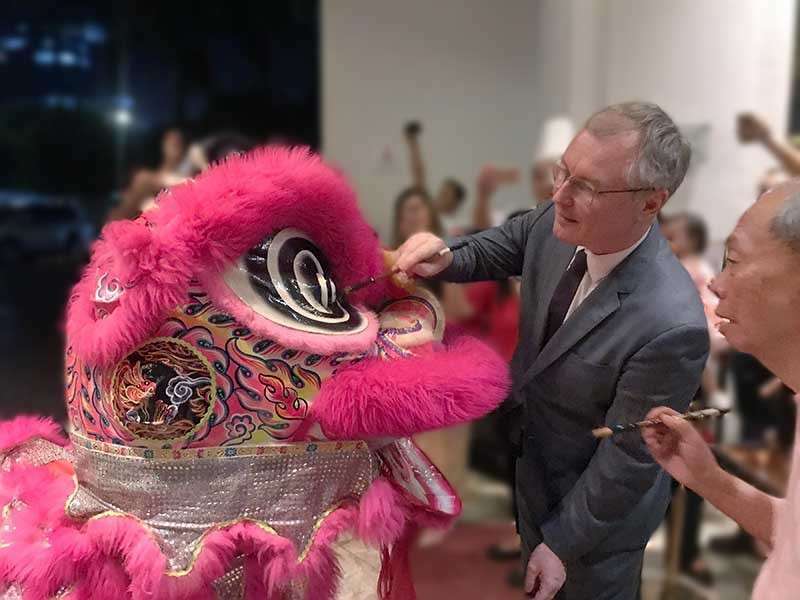 The celebration kicked off with the Lion Dance and the traditional Dotting of the Eye by Marco Polo Davao’s General Manager James Bevans and Johnny Yap, the event’s special guest. From the hotel’s entrance, the ceremonial dance of luck and fortune was taken to the lobby then to the different dining outlets. At the Café Marco, chef Alex Destriza prepared an auspicious spread. The buffet featured Chinese cuisine, favorites of regular diners like the Hot and Sour Soup, Vegan Vegetable Soup with Mushrooms & Truffle Oil, Fried While Fish with Black Beans Sauce and more. What is a Chinese dinner without the Dimsum and appetizers like the Jelly Fish Salad, Pork Char Shew, and Chicken Soy? The chef made sure the food spread was overflowing with these choices. Seen at the dining halls of Lotus Court and Café Marco were VIPs from Davao and visiting presidential officials dressed to the occasion.